I still have a weak spot for the various fake beers I find from time to time: beer made out of potatoes, palm sago, and even pea pods. Usually this kind of weird drinks are the invention of loners outside the brewing industry, like the 19th century potato-based Koningsbier (‘Kings beer’) or the sago beer invented by an Amsterdam bath house keeper. Once in a while, a real brewer would give it a try, usually forced by circumstance. 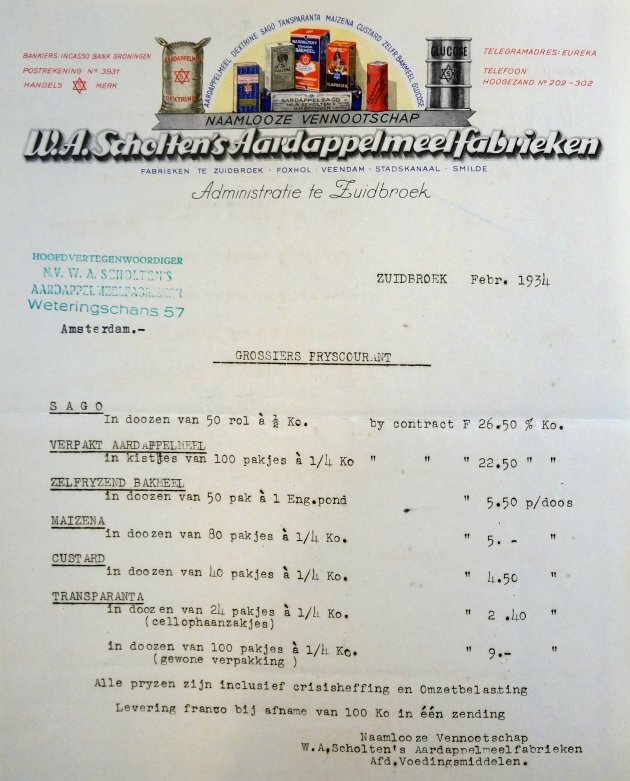 During both the First and the Second World War, Dutch brewers experimented with rice, sugar and the like. Even Heineken tried using chestnut flour and rutabagas, although this didn’t reach the stage where it was sold to consumers. Brewing with chestnut flour gave a ‘soury-smelling, very bitter tasting’ result. With the rutabagas, the entire Rotterdam brewery smelled ‘in a disgusting way’ and the beer was completely opaque. I found a rare example of such a beer surrogate in times of peace, in the archives of the Drie Hoefijzers (‘Three Horseshoes’) brewery in Breda, the Netherlands. This brewery dated from the 16th century, but in 1887 it moved to a new location just outside the old city centre, where they started brewing modern Bavarian-style beer. 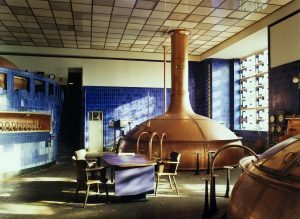 In 2004 the company, by then called Oranjeboom and owned by Interbrew, was closed. 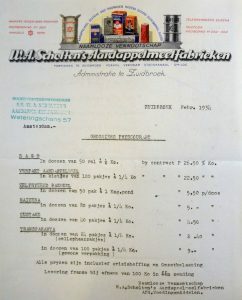 Their archive contains an inconspicuous folder that describes an experiment for ‘a new beer product’, done in the years 1934-1935. The incentive was a simple one: to try if it was possible to replace the usual ingredients by pure raw materials. One of the thoughts behind this was, that in Holland most brewing grains were imported. Also, in the 1930s there was an economic crisis and the Dutch were drinking less and less beer. 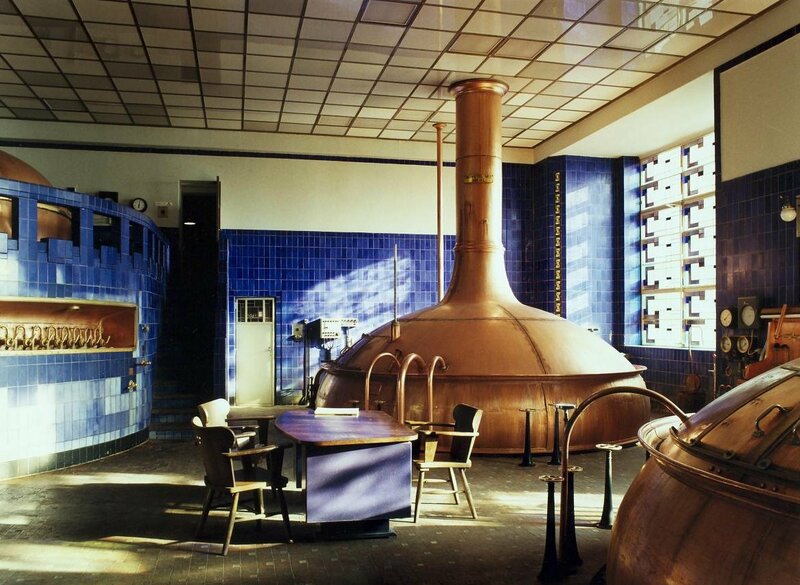 The Drie Hoefijzers brewery, at that moment one of the Netherlands’ biggest brewers, therefore wanted a cheap, beer-like beverage without using any grains. There may have been another motive as well: in 1930 the big Dutch brewers had agreed not to steal each other’s customers. Or at least, not with beer. If the Drie Hoefijzers were able to make something that resembled beer, but wasn’t a real beer, they just might be able to get around this cartel. And it would be all the easier if this beverage was cheap. And so, they devised a recipe (or maybe they found it somewhere in brewing literature), in which the proteins of the grain were replaced by those in milk, and the malt sugar by cane sugar or glucose. 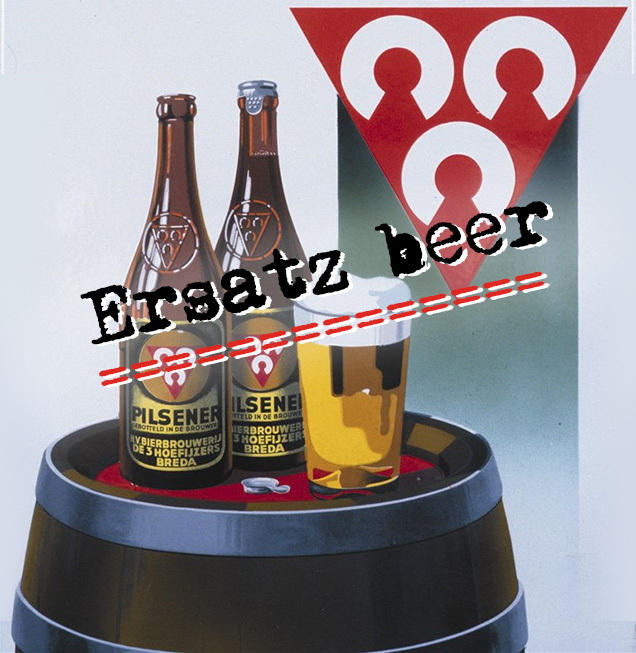 Eureka: the malthouse and the brewhouse were not needed anymore, because the brewing process became considerably simpler and shorter. The recipe called for skimmed milk, cane sugar, soluble starch (replaceable by potato syrup), diluted malt colourant, hops and water. After boiling for half an hour it had an original gravity of 10.5 degrees Balling, which, if entirely fermented, would result in 5.5% ABV. This fermentation was to be done with the brewery’s usual bottom-fermenting yeast and the result was put in small bottles. After two weeks, it was completely clear and after 4 to 6 weeks of maturing, it was ready. A potato flour factory in Groningen had already made a price offer. Why has this ‘Surrogatbier’, as it is called in a German-language version of the recipe in the folder, not made it to the market? Maybe it wasn’t tasty enough after all. Maybe there were technical problems. Who knows, maybe the reason is to be found somewhere else in the brewery’s archives. But at least, if you’re in the right mood, you can now try and make this ersatz beer from Breda for yourself, and see if it had commercial potential after all. With skimmed milk! After heating slowly, boil for half an hour and filter after cooling. Original gravity 10.5 degrees Balling (≈ Plato). Add bottom-fermenting yeast at 10º C.
After 2 days, put it in the fermenting cellar. On the fourth day, remove the caseïne and put the liquid into small bottles. It should be clear after two weeks. After 4 to 6 weeks it is ready to drink. Main fermentation at 4º C, secondary fermentation three months at 1º C.
 Keetie Sluyterman en Bram Bouwens, Heineken: 150 jaar. Brouwerij, merk en familie, Amsterdam 2014, p. 203. Stadsarchief Breda, Archief De Drie Hoefijzers, inv. no. 815. Well, I’m going to give it a go this week. Will present the result to our homebrewing club – let’s see what the folks will say. just not sure where to get the soluble starch, but I will check in my lab. I am extremely intrigued by your results!